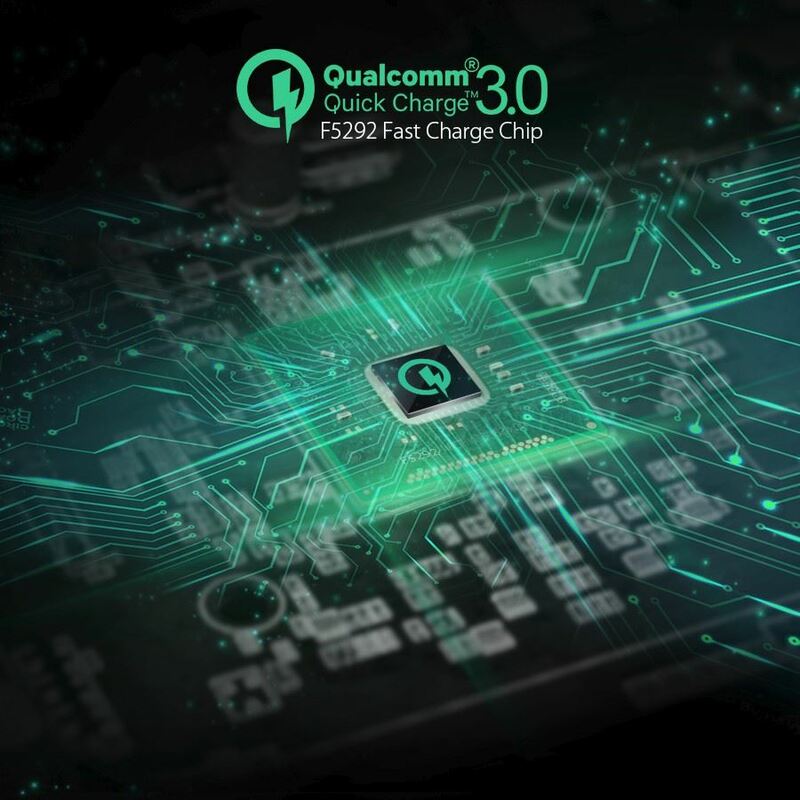 Qualcomm Quick Charge 3.0 Tech - Qualcomm Quick Charge 3.0 is engineered to refuel devices up to four times faster than conventional charging. 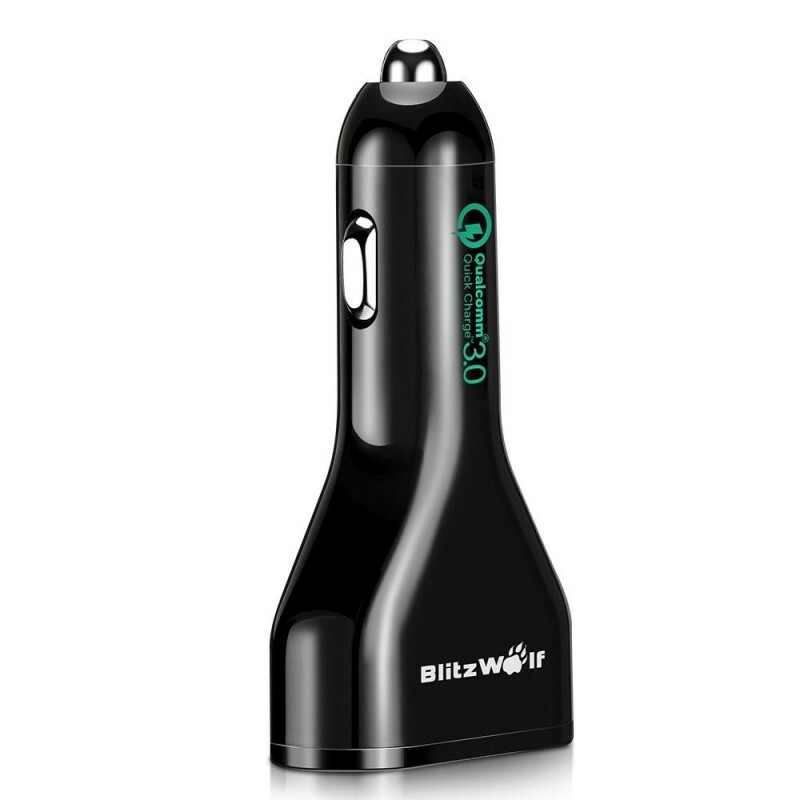 It is designed to charge twice as fast as Quick Charge 1.0 and to be 38% more efficient than Quick Charge 2.0. 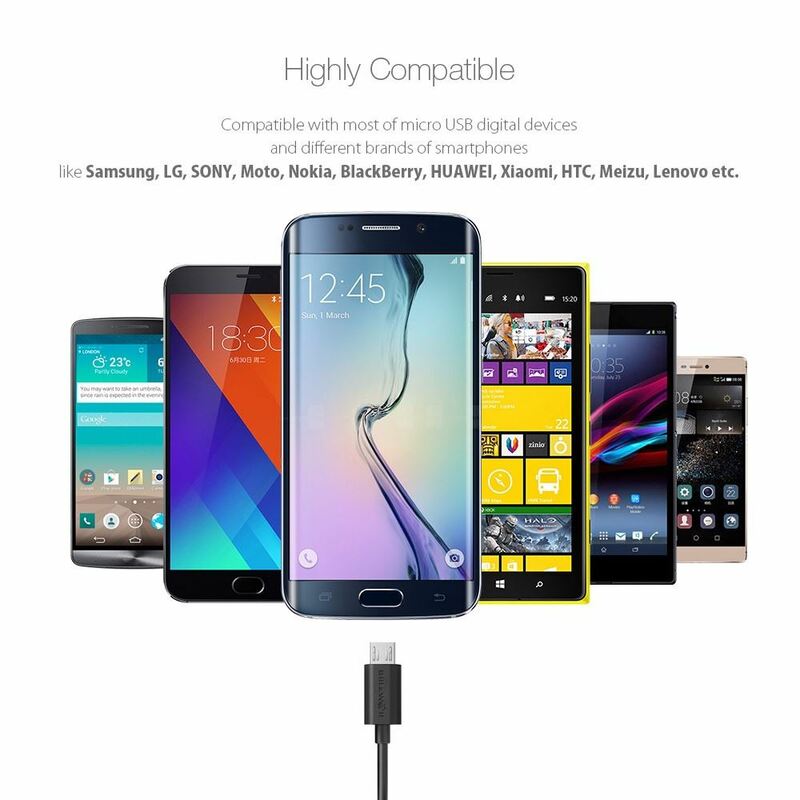 With Quick Charge 3.0 you can charge a typical phone from 0 to 80% in about 35 minutes. 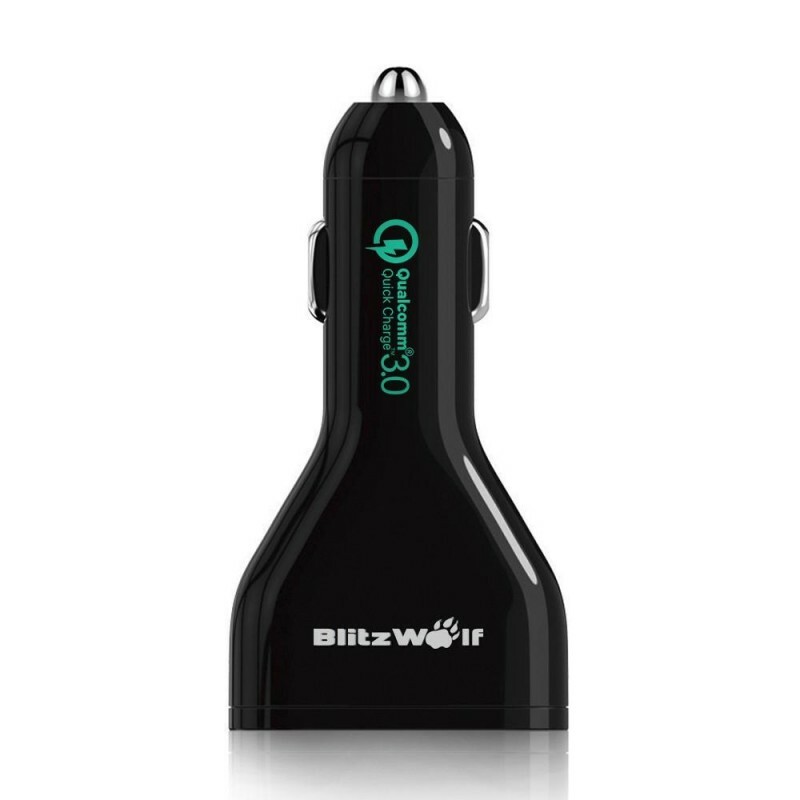 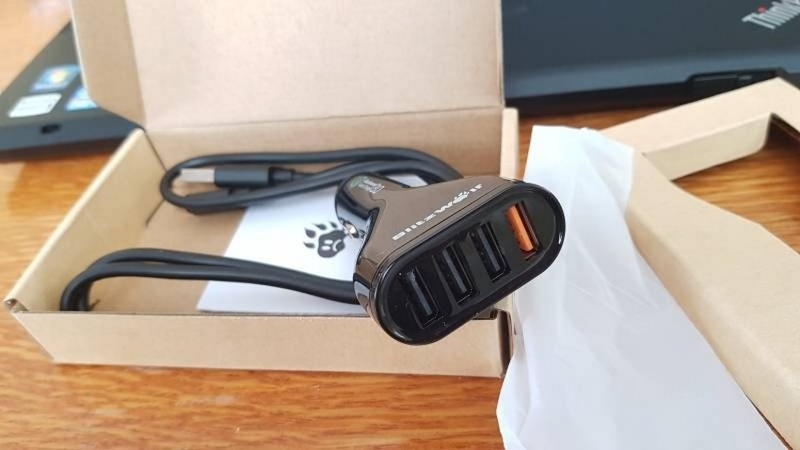 BlitzWolf BW-C10 Car Charger's F5292 Fast Charge Chip - BlitzWolf BW-C10 uses F5292 Fast Charge Chip, it not only supports USB high-voltage dedicated charging port (HVDCP) for Qualcomm Quick Charge 3.0 / 2.0, it also supports most other USB Charging specifications including BC 1.2, Apple® (for iPad & iPhone) and Samsung Galaxy Tab charging protocols. 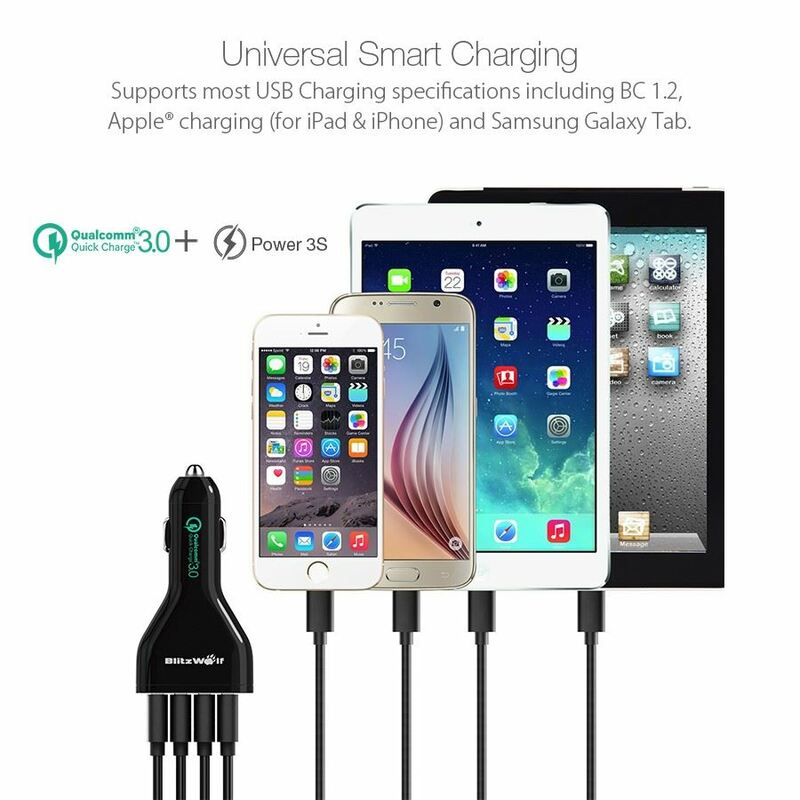 Power3S Technology - Intelligently identifies the electronic device and speaks the language it needs for full speed charging. 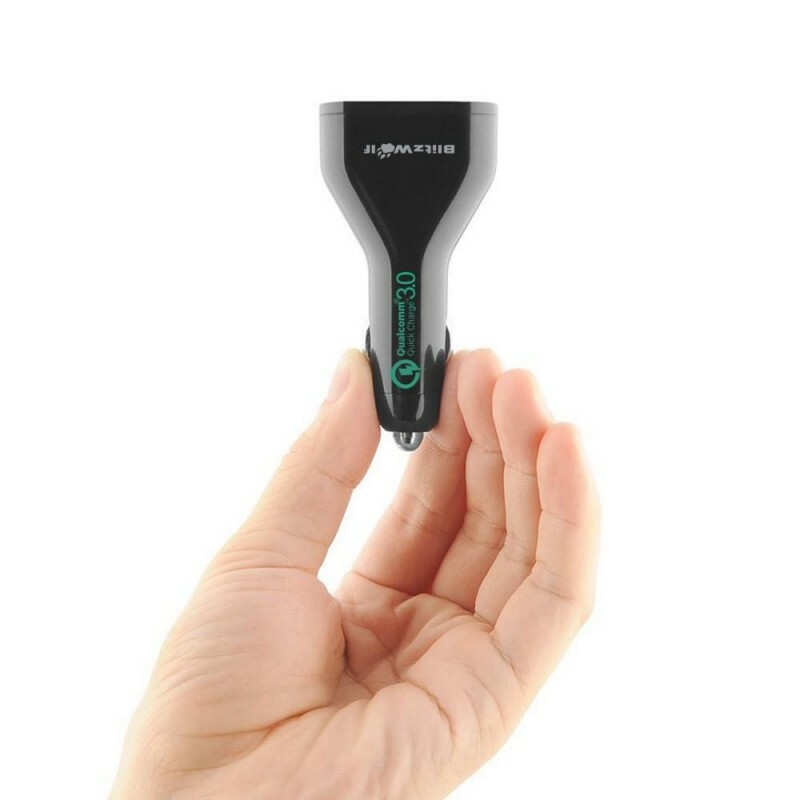 This item will not limit the charging speed for plugging any suitable into devices to charge,two times faster than the traditional charger and save time. 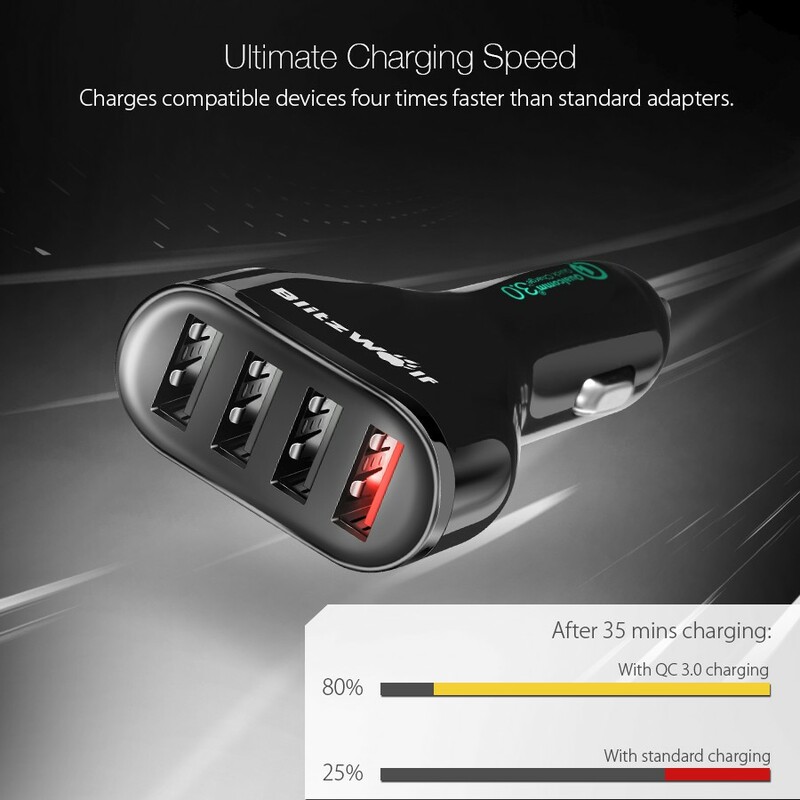 It is also compatible with all non-Quick Charge 2.0™ and non-Quick Charge 3.0™ phones and tablets and will charge at their normal charging speed (up to 5 volts / 2.4A Max) with all Power3S technology. 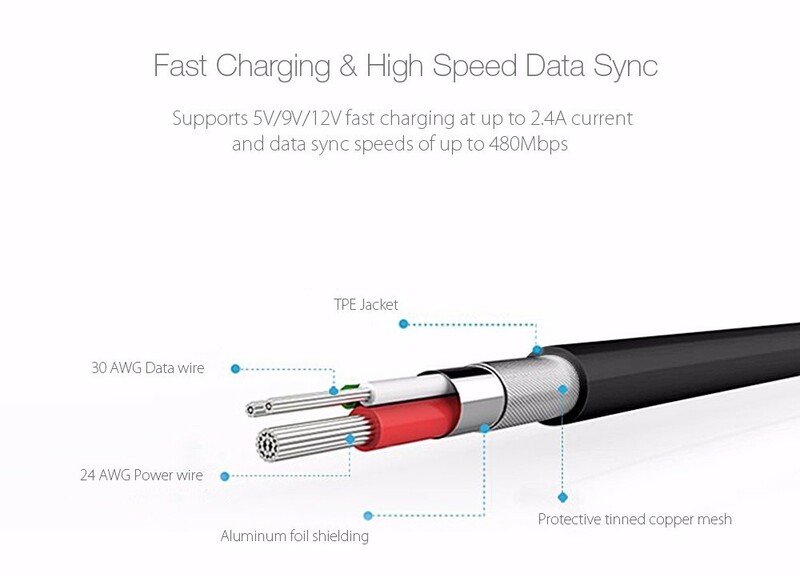 Multi Level Safety - Sophisticated circuit design with over-heat, over-current and over-charging protection. 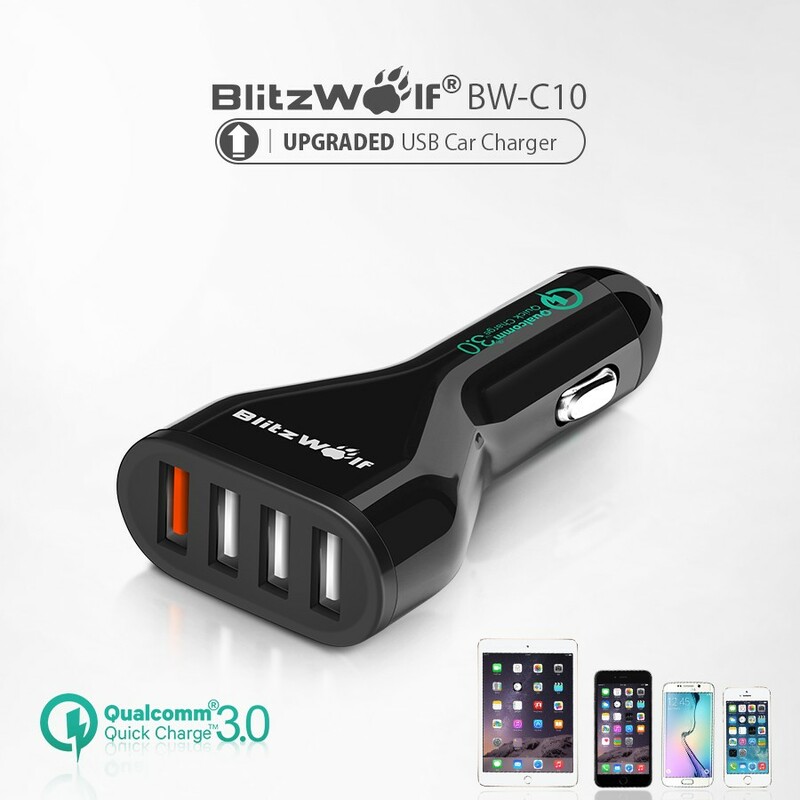 Qualcomm Certified - Certified by Qualcomm and UL. 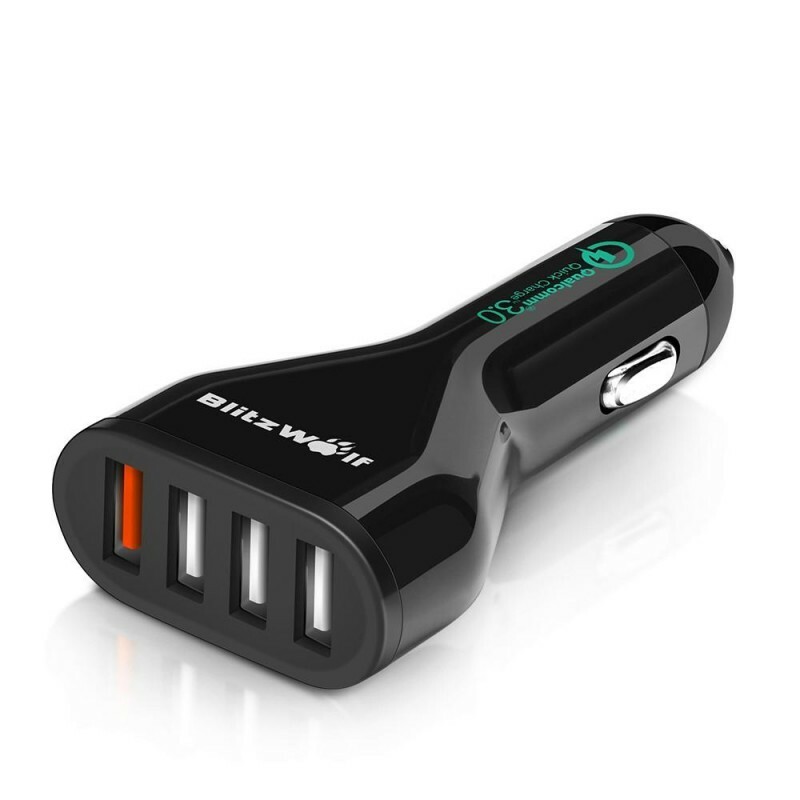 Industry grade materials and premium circuitry ensure the safest charging experience with the widest comparability. 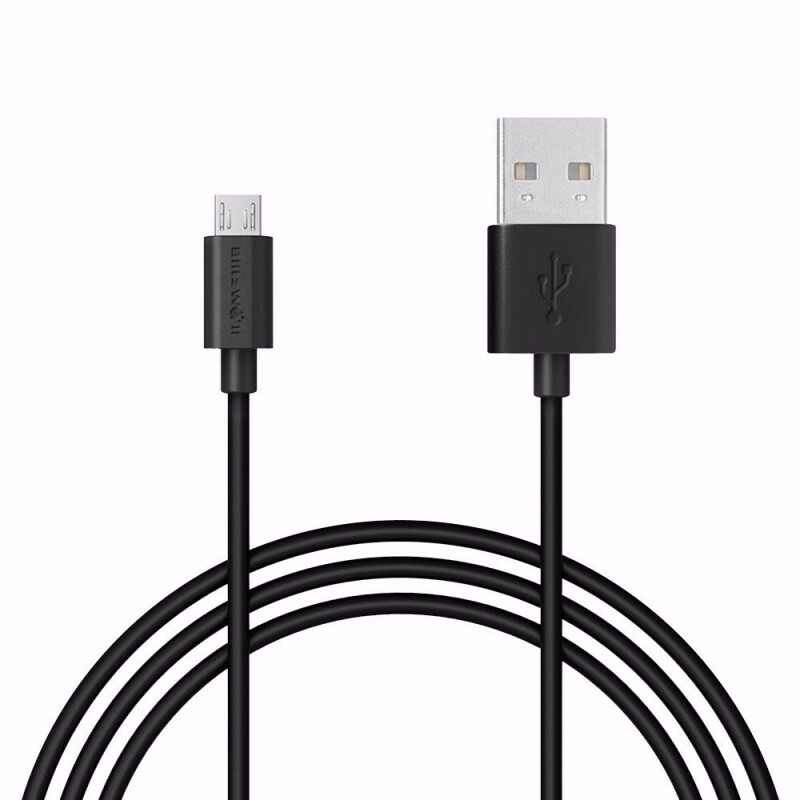 Fast Charging and High Speed Data Sync Cable (included) - Micro USB 24 AWG Power Core, and 30 AWG Data Core, supports 5V/9V/12V fast charging at up to 2.4A.